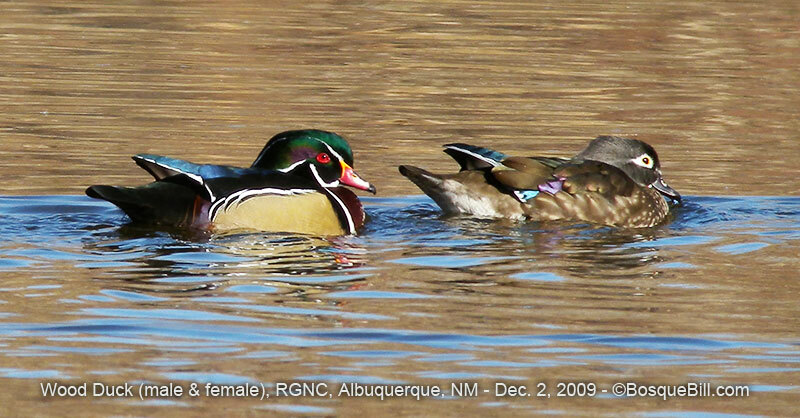 Wood Duck Most folks are familiar with the colorful male Wood Duck. The female usually appears very plain; most notable for her large, drop-shaped eye-ring. Here, though, we get a glimpse of iridescent color on her flight feathers. Only brightness & contrast were adjusted, no color enhancement was utilized.